Are you searching to be employed? IROKO TV which happens to be one of the African’s leading Entertainment Technology Company, is recruiting new workers for their available offices in 2017 and the offices can be seen below. As you may know, IrokoTV started its operation in the year 2010, and it was started by the effort of two young men known as Jason Njoku and Bastian Gotter. 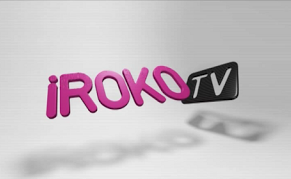 Iroko is one of the most discussed African internet start-ups, especially its flagship Nollywood movie platform iROKOtv. They have gone far and done so much in the world of entertainment, making people smile and giggle with their presentations. They have one of their headquarter at Lagos in Nigeria. As it is now, they have pioneered Video-On-Demand for Nollywood content (Nigerian movies) and has aggregated the world’s largest online catalogue of African content, totaling about 10,000+ hours. As it stands now, they have Job Vacancies for those interested in working with them. The job vacancy is created mostly for Offline Sales Agent. Go through below for more information. ✔️ Previous sales or customer service experience is a PLUS!. ✔️ Must-be friendly and fluent in English. ✔️ Should be familiar with smartphones (Android) and mobile applications. Address: No 8, Adebayo Mokuola Street, Anthony Village, Lagos State. Wishing you goodluck if you are applying.